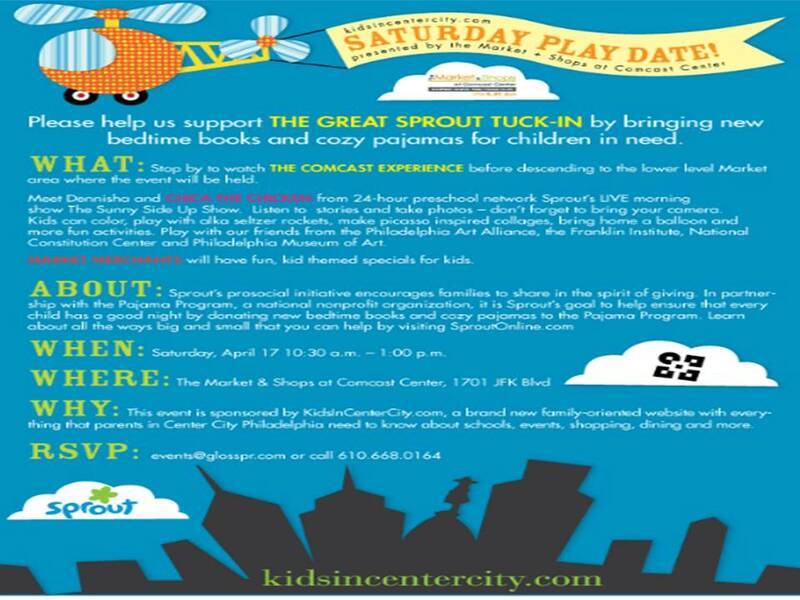 Last month I had the chance to check out the Saturday Play date sponsored by Kids In Center City at the Comcast building. This was a great family field trip because we took the train into the city and since it was the weekend when we were having torrential downpours we never had to step foot outside! We got to meet Kelly and Chica from the Sprout Channel, my youngest is a huge fan! Also The Franklin Institute, The Art Museum, The Constitution Center and The Philadelphia Art Alliance will have kids friendly activities. 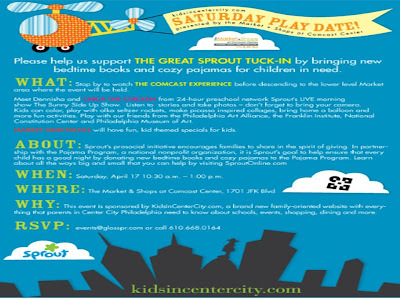 This Saturday April 17th there will be another Play date and a chance to meet Chica and participate in more kids friendly activities.